Badger & Birdwatching at Nannerth at Nannerth Country Holidays01597 811 121work BirdwatchingThe hide gives wonderful views of badger activity at dusk and the area is lit during the evening. Watch badgers from the tree walk leading to the hide, or settle down in the treehouse itself. Peanuts are popular with badgers and they now expect a handful in the evenings when visitors arrive at the hide. We do not make a charge for badger watching, but booking its essential and donations to wildlife conservation on the farm are most welcome. 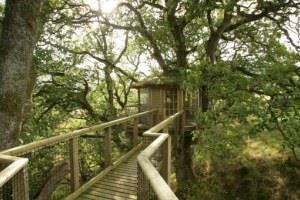 The treehouse is close to the river amongst large oak trees and can also be used for bird watching during the day. 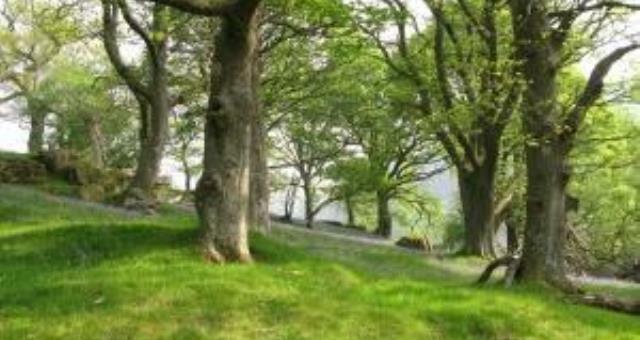 The woodlands, hedges, rough pasture, hay meadows and wetlands produce masses of interesting plants, lichens and the insects which thrive in these areas. The hide gives wonderful views of badger activity at dusk and the area is lit during the evening. Watch badgers from the tree walk leading to the hide, or settle down in the treehouse itself. We have several guests who record moths and visitors who like to photograph and record birds and insects. Some have generously passed on their pictures to us and they are included in our galleries. We have a small private nature reserve on our 200 acre organic farm adjoining the Elan Valley and next to the River Wye. There is a beautiful farm trail taking in many different habitats including riverside, wetlands meadows woods and open moorland. Booking is essential although we make no charge. Strictly no dogs allowed on the farm. This is a working farm and visitors must read the safety information provided and ensure that children are accompanied at all times by a responsible adult. From Rhayader town centre take the B4518 towards Elan Valley. Turn right at the outskirts of town onto the Aberystwyth Mountain Road. There is also a brown Nannerth sign at this junction. Continue 1/2 mile and then turn right again at the 2nd brown Nannerth sign. Continue 2.75 miles and stay on the tarmac until you reach Nannerth Country Holidays. Then come to the farmhouse please. Do not use satnav or you will get lost!